We have used the Trees for Life (UK native species) calculator to work out that we must plant 6 native trees per tonne of Co2 for offsetting purposes. 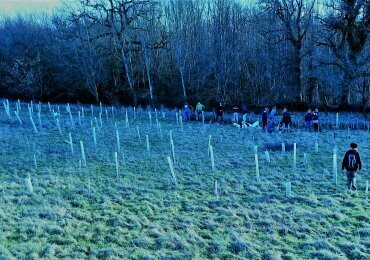 This is 61 trees, to which we have added 30% for any tree losses due to disease or dieback. This brings us to 79 trees. We will be planting these trees in February 2019, date to be advised via our newsletter. If any of our customers would like to join us to offset their own emissions, we will be pleased to have you along!